Most other carnivores will ignore a tamed Therizinosaurs, making it a very safe and efficient transport dino. Only very few other animals will attack unprovoked (e.g. Griffin, Pegomastax, Piranha, Megalodon, and other Therizinosaurs), and others only if you get too close (e.g. Yutyrannus). The Therizino's sprint speed is comparable to the Giganotosaurs except the Therizino's endurance is top-notch, although its gait is much smaller. The Therizinosaurus drops torpor extremely quickly—be prepared with plenty of narcotics/berries and a safe taming area, when attempting to tame this dinosaur. 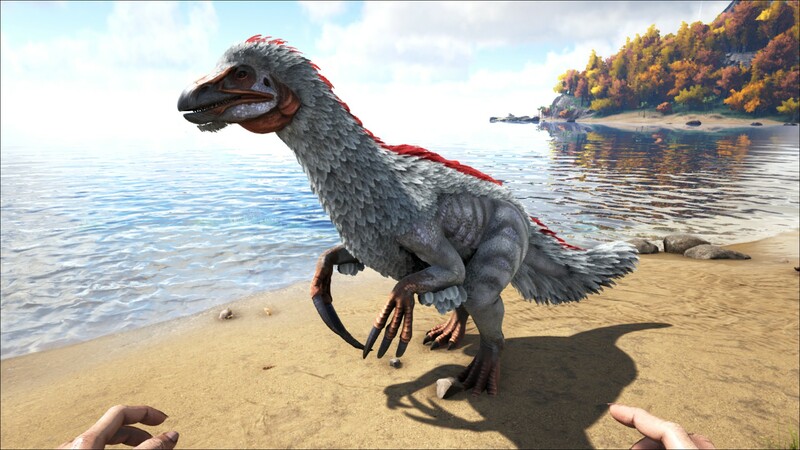 Therizinosaurus have faster attacking rate while sprinting. Therizinosaurus' bite can damage stone structures, can also inflict torpor damage and can directly hit the dino rider(similar to dimorphodon). Majority of players refers the Therizinosaurus informally as "Longclaws", "Therizino", or "Sid" (Referencing the Sloth character in the film Ice Age). However, there are other "slothlike" creatures in Ark, so therefore the nickname is misleading.